A gentle cleanser that provides a daily solution to remove makeup, oil, dirt and environmental impurities in oily and breakout-prone skin. Apply a dime-sized amount to damp skin and massage into a light foaming lather. Follow with the appropriate PCA SKIN® toner, treatment serums and broad spectrum SPF product in the daytime, and moisturizer in the evening. 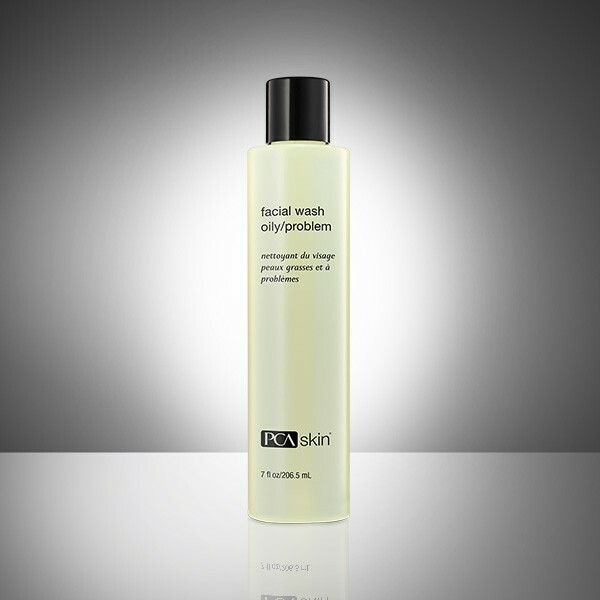 Clear existing and prevent future acne breakouts with this fast-acting, salicylic acid treatment. A unique botanical blend controls daily oil production.